If you plan to spend time in Mexico and want to look beyond San Miguel de Allende, consider renting a property in Guanajuato, the state capital. 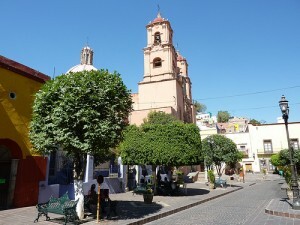 The capital of the state with the same name, Guanajuato was named a World Heritage site in 1988 and has a vibrant feel. The state is located in the North-Central Mexico. Guanajuato is located between the arid north of the country and the lusher south, and it is part of the Trans-Mexican Volcanic Belt, the Mexican Plateau and the Sierra Madre Oriental. It was initially settled by the Spanish in the 1520s due to mineral deposits found around the capital city of Guanajuato. With all of the riches this city has to offer, what's the best part? Guanajuato rentals generally cost you less in San Miguel. Read this article published in International Living about the beautiful city of Guanajuato.